Design-Build is a project delivery method in which the design and construction services are contracted by a single entity. Design-Build provides a single point of responsibility in the contract in an attempt to reduce project risk, shorten the delivery schedule by overlapping the design phase and construction phase of a project and minimize overall project costs. The selection of the design-build contractor is based on qualifications of the proposed teams and the overall best value of each proposal based on the established end result goals of the project. Traditionally, MoDOT has used the design-bid-build approach for project delivery. This approach involves the development of design plans by either internal staff or an engineering consultant and separate selection of the contractor by the lowest responsive bid method. The design-build approach enables the designer and contractor to work together to develop the most cost effective yet constructible set of plans given their strengths and efficiencies. Since the contractor is on board at the start of design, construction can begin as soon as the necessary design detail is developed. This overlapping of design and construction reduces the overall delivery schedule and delivers the completed project faster. The design-build procurement schedule generally lasts six to eight months compared to the two to three years it takes to design and award a traditional design-bid-build contract. Other unique or unusual conditions or the need for specialty skills for the project’s design and construction. MoDOT was originally granted authority to use the design-build process on three pilot projects by the Missouri General Assembly in 2004. The first design-build procurement began in 2005 with the $535 million reconstruction of Interstate 64 in St. Louis. In 2007, the second design-build procurement began for the $245 million I-29/I-35 kcICON Christopher S. Bond Bridge over the Missouri River. In 2008, the third design-build procurement was launched for the Safe and Sound Bridge Improvement Program, replacing 554 bridges across the state for $487 million. All three projects received national acclaim and were completed on time or ahead of schedule and on or under budget. Following that success, the Missouri General Assembly granted further design-build authority to MoDOT, allowing up to two percent of its annual number of projects to be delivered using the design-build delivery model. Information on all past, current and upcoming design-build projects can be found on MoDOT’s Design-Build webpage. Prescriptive methods and requirements for design-build projects limit the creativity of the private sector and ultimately limit the project scope. Therefore, the design-build philosophy and its processes focus on the desired end result for the project. This focus ensures that there is the greatest opportunity for flexibility and innovation during both design and construction of the project and maximizes the likelihood to deliver the project within the available project budget. By allowing design-build contractors to propose alternative FHWA approved approaches to means and methods, material requirements, specifications and best practices, the design-build teams can bring innovation to MoDOT. This opportunity not only benefits the delivery of the related project, but allows MoDOT to capitalize on industry development and advancement by providing a pathway for their innovation into the way MoDOT does business. Due to the unique nature of MoDOT’s design-build approach, each project team must hold the following core values paramount throughout the design-build process. Prioritized project goals are critical for success and are used to focus the project on the big picture and end result. The project goals guide all decisions throughout procurement and contract execution. MoDOT has developed a “best in the industry” reputation for confidentiality. Confidentiality allows trust to be established with the industry, creates a safe environment for the industry to be innovative, drives competition to provide the best proposal, and validates the design-build selection process. Each person (MoDOT employee, consultant, or, in some cases, external partners) involved in development of the contract or in project scoring is asked to sign a Confidentiality and Non-Disclosure Agreement. Keeping project information confidential throughout the procurement process is held as a critical value for every project team. Each person (except FHWA representatives) involved in the project procurement process shall sign a Confidentiality Agreement (Form 139.1.3). Discussions with anyone who has not signed the Confidentiality Agreement are not allowed. Each person (except FHWA representatives) that participates in scoring shall sign a Conflict of Interest Form (Form 139.8.1.5) for SOQs or a Conflict of Interest Form for Proposals (Form 139.8.2.5). For design-build projects, some specific authority of the Chief Engineer is granted to the Project Director of each project. This authority establishes the Project Director as the project decision maker, creates trust with industry, expedites the decision making process throughout the contract and helps develop one team with the contractor. The authority gives the contractor confidence that when a decision is made by the Project Director, the decision is final. With the delegation of authority, the confidence shown by executive management provides the project team with credibility with the proposers during the procurement phase of the project, and with the selected design-build contractor during implementation. In addition, when the proposers perceive that management has delegated authority to and has confidence in the project team members, there is no temptation to “go over the heads” of the team members to pressure management into making decisions that may conflict with the decisions of the project teams. The delegation of authority to the Project Director requires commission action. When the Project Director uses this authority, they should attach documentation of the commission action granting the authority, usually in the form of a memo from the Chief Engineer. An example of the authority typically given to the Project Director is available. For each project, staff from different functional units should be designated to participate on the project team. Typically, this team consists of traditional core team members, with each member having different areas of expertise, such as design, bridge, construction, right of way, utilities, geotechnical, traffic, customer relations and/or maintenance. Each core discipline applicable to the project should be included in the contract development process. In some cases, not all disciplines will be represented on the main project team. In this situation, the Project Director has the responsibility of conferring with subject matter experts, such as design, bridge, environmental, financial, maintenance, traffic, construction or Right of Way staff, to assist in the decision making process, as appropriate. Many Project Director’s find it helpful to meet regularly with representatives from all disciplines in the form of a core team meeting. * EPG 149 Project Delivery Method Determination and Risk Assessment provides guidance for design-build project selection. * Examples of the MHTC back-up documents and transfer of authority are available. The first steps of any design-build (DB) project are selecting a project and selecting a Project Director. EPG 149 Project Delivery Method Determination and Risk Assessment provides guidance for the Project Delivery Method Determination process, which includes goal setting strategies and risk analysis guidance. Upon selecting a project for DB, a Project Director is named by the district to be confirmed by the appropriate executive management. To obtain approval for both, the District Engineer shall contact the Design-Build Coordinator or State Design Engineer to discuss making arrangements for executive management to consider the project. If design-build is the concurred project delivery method, the MHTC will be consulted to approve the project for design-build and delegate certain approval and expenditure authorities to the Chief Engineer or the Chief Engineer's designee, typically the Project Director. Once a project has received MHTC approval, basic information about the project should be placed on the Design-Build webpage, by the Project Director contacting the Design-Build Coordinator. The Project Director should also request up-to-date working contract documents, to use as a starting point for their contract. The first tool is for the project director to create a small, five to ten member core management team to participate from development of the procurement documents, selection of the design-build contractor and oversight of the performance of the work on the project. The project team should represent a variety of engineering and other disciplines that are important to the project. If possible, the team should be located together and should meet at least weekly to manage the delivery of the project. Once a project is selected as design-build, the project team should finalize the goals determined via guidance in EPG 149 Project Delivery Method Determination and Risk Assessment. The project team should then request approval of the goals by district and central office executive leadership. In order to effectively use project goals to guide the procurement process, the goals must be defined in order of importance. Prioritized goals provide a basis for project “trade-off” decisions during the development of design-build procurement documents and execution of the project contract. Whether the project team is determining short-list criteria, design-build contractor selection criteria, technical provision requirements or risk allocation, the prioritized project goals guide how one approach is selected over other viable options. Examples of previous Design-Build project goals are available. Prioritized goals are also useful as a public communication tool throughout the procurement process, as much of the design-build process is confidential in nature. The project goals convey to the public the end result they should see at project completion. Once the goals have been developed and approved, they can be made public, through a project website or other methods. Throughout the project, the goals should be clearly communicated to all project participants including all project personnel, industry public stakeholders. The design-build delivery method is unique in that it allows for risks to be assigned or transferred to the most appropriate party. After developing project goals, the next step to successful design-build delivery involves two exercises, risk assessment and risk allocation. These exercises are the keys to maximizing the probability of achieving the desired outcome and meeting or exceeding the project goals. Although the two terms are often used interchangeably, they are two distinct analyses used for different purposes on design-build projects. Risk assessment for design-build projects involves an analysis of the risks involved on a project that likely would cause a design-build contractor to include cost or schedule contingencies in its proposal. The risk assessment should analyze which risks can be avoided or mitigated, prior to design-build contractor selection. As discussed in EPG 149 Project Delivery Method Determination and Risk Assessment, risks will be evaluated to determine the significance of each risk, the effort required to alleviate or mitigate each risk and the probability of each risk. The project team should use the high level risk assessment developed during the Project Delivery Method Determination Process as a starting point, examining the project in greater detail. After the risk assessment has been completed, an evaluation of the party who is in the best position to manage and control all remaining risks (or impacts of remaining risks) further determines the most effective allocation of risks between MoDOT and the design-build contractor to best achieve the project goals. Risk allocation is an allocation between MoDOT and the contractor of responsibility for risks that cannot be avoided. Risk should be allocated to the party best able to manage each risk. The allocations of risks will be set forth in the contract documents. The desired result of a risk assessment/allocation effort is to use MoDOT resources to avoid or mitigate as much risk as possible prior to Design-Build contractor selection paying close attention to the high impact, high probability risks and to allocate the remaining risks to the party that will be most able to effectively manage the risk. 1. Drainage – Who is best able to perform studies of off-site flows, hydrology, etc? 2. Environmental – MoDOT may be in the best position to obtain a Section 404 permit from the Army Corps of Engineers, however, the design-build contractor is the best party to obtain new permits or variances to existing environmental permits based upon its design. 3. Geotechnical – Once MoDOT has determined the extent of an adequate geotechnical investigation, it is normally the Design-Build contractor who should assume the risk of deviations from the borings. 4. Insurance – What type of insurance would be advantageous for each project - traditional insurance, OCIP, CCIP, PCIP? 5. Lighting Agreements – MoDOT may be able to reduce the Design-Build contractor’s contingency by reaching an agreement with the power company utility owner related to temporary lighting. 6. Maintenance During Construction Example - While the risk of maintenance during construction may be most appropriately allocated to the design-build contractor, the risk of extraordinary maintenance of the project during construction may be best allocated to MoDOT. 7. Method of Handling Traffic – Are there agreements that MoDOT can enter into with local jurisdictions for alternate routes? 8. Noise Walls – While MoDOT is probably the best party to assume the risk of dealing with the public regarding many noise wall issues during the environmental process, the Design-Build contractor is the best party to determine where the noise walls are required based upon its final design. 9. Public Information – While MoDOT may be the best position to identify and communicate daily coping messages to the public, the contractor is the best to notify MoDOT of upcoming work and public impacts. 10. Right of Way – While in typical situations, MoDOT is the party best able to acquire permanent right of way, the design-build contractor is in the best position to determine the necessary temporary right of way for the project. 11. Utilities – MoDOT can avoid high utility contingencies by reaching a master utility agreement with utility owners that define a process for relocations caused by the project. MoDOT uses a white paper process to develop the proposed approach for significant design-build elements and to communicate that approach to all interested employees. The white papers are ultimately approved by executive management for incorporation into the Design-Build Request for Proposal (RFP). White papers can also be used to document innovative ideas or solutions implemented on a design-build project, which may be useful on traditional design-bid-build projects. The purpose of the white paper process is to document a recommended approach to particular design-build concepts and to receive concurrence by management and approval by the Chief Engineer. New or revised design-build concepts should follow the approval process below. Step 1. Design-Build concepts are developed and described in white paper format. Step 2. The draft white paper is reviewed, discussed and finalized by the Design-Build Coordinator. Step 3. The draft white paper will be submitted to and reviewed by various Division Directors/Engineers when the white paper affects their jurisdiction, and by the Chief Engineer. Draft white papers may be provided to other select stakeholders if needed. Comments received will be reviewed by the Design-Build Coordinator. If the Design-Build Coordinator deems the comments to be consistent with nationally recognized design-build best practices, the comments will be incorporated into the draft white paper. If comments received during the stakeholder reviews differ from the original approach finalized by the design-build project team, both design-build concepts will be presented to the Chief Engineer for direction. Step 4. The white paper is presented to the Chief Engineer for approval. Approved white papers should be considered living documents to be updated on an as needed basis to reflect current policies on various design-build topics. The lessons learned identified during design-build projects need to be documented. Revised white papers shall be submitted to the Design-Build Coordinator for review and approval in order to ensure consideration during development of future design-build projects. Since the design-build process can be complex and involve time critical reviews and approvals, the MoDOT/FHWA Design-Build Program Agreement outlines the Missouri Division of FHWA’s involvement on design-build projects. The purpose of the Design-Build Program Agreement is to ensure that MoDOT and FHWA have an understanding of the level of involvement, approval actions, roles, responsibilities and processes that FHWA will provide on Design-Build projects. The agreement addresses the design-build procurement process, the NEPA process as it relates to design-build, the Access Justification Report (AJR) process and other approval requirements during contract execution. FHWA will review procurement documents developed for each project, for conformance with federal requirements. Feedback resulting from these reviews will be provided to MoDOT within timeframes included in the MoDOT/FHWA Design-Build Program Agreement. The project team shall also coordinate with Central Office staff, including the Design-Build Coordinator, regarding procurement document reviews. Internal reviews should occur prior to FHWA reviews, but can be performed concurrently if needed. It is important to allow for adequate review time when developing the project procurement schedule. The project team may use the Review Comment Response Sheet (RCRS) Form (Form 139.8.1) to collect and respond to comments. The first phase in a two-phase, design-build procurement process begins with short-listing the most highly qualified submitters based on qualifications submitted in response to a Request for Qualifications (RFQ). The second phase consists of the submission technical proposals, and sometimes contract price, in response to a Request for Proposals (RFP). The Design-Build Process Checklist can be used as a guide through all the steps in the design-build process. A list of design-build acronyms can be helpful in learning the “language” of design-build. Even before the procurement process begins, the MoDOT project teams shall not share information that will give any potential design-build team an advantage. Very little other than the project goals, schedule and budget can be shared publicly before the RFQ is released. Once the project goals are finalized and approved by the executive committee and the project budget set in STIP, this information and the procurement schedule can and should be shared publicly. Potential solutions will not be discussed publicly during the RFQ phase. EPG 139 Design-Build focuses on the contents and concepts involved in a two-phase design-build procurement process, as that is the most likely approach to design-build procurement. However, the design-build rules and FHWA’s design-build regulations allow for a one-step procurement process (Modified Design-Build) that is typically used for small, non-complex projects that includes a low bid selection process. During the RFQ (Phase 1) process, the qualifications are established that will be evaluated to determine which of the submitters are the most highly qualified to perform the design-build project. These qualifications should reflect the goals of the project. The short-listing process for design-build procurement should not be confused with the pre-qualification process for contractors used for design-bid-build projects. Short-listing submitters for a design-build project identifies the most highly qualified potential design-build team where prequalifying contractors for design-bid-build projects identifies all contractors that are qualified to submits bids. It is required by state statute to short-list no more than five and no fewer than two submitters. MoDOT is required by statute to give public notice, or advertise a Request for Qualifications in at least two public newspapers that are distributed wholly or in part in Missouri and at least one construction industry trade publication that is distributed nationally. Typically, advertisements are placed in large city newspapers (St. Louis and Kansas City), the local paper in the area of the project, and an engineering trade magazine, such as Roads and Bridges. Consideration should also be given to advertising in minority newspaper publications, if one exists in the project area. The advertisement should also be emailed to the MoDOT consultant and contractor databases, as well as the DBE database. Typically, the advertisement is placed approximately 30 days prior to the industry meeting. Advertisements are run for one day (or one week/month in the case of a weekly/monthly publication). Trade publications typically offer an online advertisement that is less expensive. A sample project advertisement is available. The project advertisement should also be placed on the project website, which should be accessible through MoDOT’s Design-Build website as well as through the district and/or major project sites. The project website will be used throughout the RFQ (phase 1) process to communicate with potential submitters. The purpose of the RFQ process is to develop a short list of two to five submitters identified as the most highly qualified, which will be allowed to participate in the RFP process. The RFQ is the opportunity to communicate to interested parties the specific qualifications/experience desired of submitters and to provide guidance on how the short list will be developed. The RFQ identifies and prioritizes the desired team traits that should be addressed by each submitter’s Statement of Qualifications (SOQ). Furthermore, the RFQ details the specific qualifications and experience required of the proposed key personnel for each submitter, which is to be included in the SOQ. The RFQ may require the submitters to describe their past performance in areas such as safety, schedule, budget and community satisfaction. Is local design and construction experience important? Are the qualifications and availability of key personnel important? Is the long term financial stability of the team important? Generally, this needs to be considered for very large projects. What management systems/philosophies are important, if any? What past performance measures need to be included, if any? What rating criteria will be used to determine the most highly qualified submitters? It is important to develop short-listing criteria that establish a clear separation between the most highly qualified teams and all other submitters. Within the design-build industry it is generally understood that a short-listing process helps to identify, very early in the procurement process, a team (or teams) that is unlikely to be selected. This benefits those teams by preventing them from wasting their time and money competing for a project they are unlikely to be awarded. On the other hand, the short-listed teams gain a higher probability of being successful, so they are more likely to put the necessary resources into developing proposals. This typically results in higher quality teams, higher quality proposals (risk vs. reward) and a more efficient proposal review process. It is important to minimize the duplication of information requested in both the RFQ and RFP. By doing so, the cost for each competing team is reduced and interest in the MoDOT design-build program is maintained. 1. Introductory Information. The RFQ includes a brief description of the project, the project goals, the estimated contract price (if known), and the completion deadline. 2. RFQ Process information. The RFQ includes a description of the procurement process, submitter requirements and the procurement schedule. 3. SOQ Contents and Evaluation Criteria. The RFQ details what information must be submitted by each submitter, including administrative elements, submitter experience information and key personnel and organization information. The heart of the RFQ is a description of the factors that will be evaluated to determine the most highly qualified submitters. Examples include the experience of the major participants in similar projects, the safety records of the major participants, and the experience and qualifications of proposed key personnel (which positions and minimum qualifications are defined in the RFQ). Examples of key personnel are Project Manager, Design Manager, Construction Manager and Quality Manager. 4. Submittal Requirements. The RFQ sets forth the format for the statements of qualifications and the requirements for submittals, i.e. due date and time, number of copies, etc. and the protest procedures. 5. Evaluation Process. The RFQ describes the method the statements of qualifications will be evaluated and scored. a. The RFQ defines design-build team major participants and states that the major participants and key personnel can only be changed by the submitters with prior approval. b. The RFQ sets forth the anticipated stipend the short-listed teams will receive if they submit a responsive proposal in response to the RFP. No stipend is paid for submitting an SOQ. c. The RFQ includes instructions for future communications between MoDOT and the potential DB teams. For participant confidence in the process, all communication by any potential participants after the RFQ is issued should be through the Project Director and only as allowed by the RFQ. d. The RFQ shall address the process and deadline for any and all questions or requests for clarifications, as well as the process for issuance of addenda. 2. Where all documents and reports delivered to the commission by the consultant or sub-consultant are made available to all offerors. ii. The rules further provide that all solicitations for design-build contracts, including related contracts for inspection, administration or auditing services, must direct the offeror to this section of the rules. In addition to MoDOT’s rules, on projects involving federal funds, the federal regulations have similar provisions. Federal Design-Build rules: 23 CFR Part 636 Subpart A.
f. The RFQ should state that documents submitted in response to the RFQ will be subject to the Missouri Public Records Act, and detail procedure for marking items confidential or proprietary. g. The RFQ sets forth the Federal Equal Employment Opportunity (EEO) Policy and the DBE goal(s) for the project and identifies where the submitters may obtain copies of a directory of DBEs. In addition to setting an overall DBE goal, separate DBE goals may be set for design services and for construction. i. The design DBE goals are based on the percentage of DBE design consultants that are available and qualified to perform a portion of the design on the project. ii. The construction DBE goals would be based on the percentage of DBE subcontractors that are available and qualified to perform a portion of the construction work on the project. The methodology of setting each goal should be the same that is used for design-bid-build projects, and should be requested through the Division of External Civil Rights. h. The RFQ may also include requirements regarding the submitter’s legal structure, bonding capacity and additional financial requirements, if any. On most projects, assurance of required bonding capacity of the submitters is adequate to show financial capability. Design-Build contracts may be for larger amounts of money and in such cases, companies must have the ability to bond that amount. In the case of The New I-64, the design-build contractor teams were required to have bonding capacity of more than $400 million. The I-64 teams included national design-build companies and prime contractor and design firms from St. Louis. In this instance all of these companies made up the prime contracting team. i. Major Participant Information Form. ii. Reference Project Summary Form. iv. Receipt of Addenda Form. v.	Statement of Existence of Organization Conflicts Form. For most design-build projects an industry meeting is conducted, typically scheduled immediately before or after the RFQ release. The industry meeting is used to introduce the project to the design and construction industries and announce the procurement schedule for the project. Typically, the industry meeting includes an introduction of the MoDOT project team, a presentation related to the project and the RFQ and an opportunity for questions and answers. The remaining time is dedicated to an industry mixer, where prime contractors, subcontractors and professional services companies, identified by name tags, can network and have the opportunity to establish connections for the benefit of the project. Previous mixers have led to the development of submitting teams and can be very beneficial to meeting all of the project goals. To allow for further communication between consultants, sub-contractors and DBEs, the sign-in sheet is typically made public immediately following the industry meeting, by posting to the project website. A confidential SOQ Evaluation Procedures document is created for each design-build project. The document includes, at a minimum, specifics related to maintaining confidentiality of the SOQs, scoring team organization and roles, scoring procedures and evaluation criteria, including compliance reviews. Scoring teams are composed of appropriate staff representative of the applicable areas of expertise associated with the proposals. The Project Director works with the MoDOT project team to determine the scoring team members, which may include personnel outside of the immediate project team, and establish a scoring chairperson. Each member of the scoring team shall sign the Confidentiality Agreement (Form 139.1.3) and Conflict of Interest Form for SOQs (Form 139.8.1.5). After scoring is complete, the scoring chairperson(s) will document the scoring process and outcome in a memo (the [Final Recommendation Report]), which summarizes each team’s strengths and weakness and states the recommended short-list, to the Project Director. The short-list is restricted to no more than 5 teams and a minimum of 2; therefore, short-list selection should be intentionally crafted to differentiate between submitting teams. Appropriate rating criteria will be used to determine a maximum of five most highly qualified teams and/or demonstrate a significant separation between the most highly qualified and those meeting qualifications. An example of SOQ rating criteria used on past projects is provided below. If there is no clear numerical separation between teams, the Project Director and Executive Selection Committee (refer to EPG 139.8.1.6 Short List Approval) may, at their discretion, choose to further examine the submitting teams by requesting additional information from the teams or conducting interviews. Exceptional +/-, or 85-100%	 The submitter has demonstrated an approach that is considered to significantly exceed stated requirements/objectives and provides a consistently outstanding level of quality. There is very little or no risk that the submitter would fail to meet the project goals. There are essentially no weaknesses. Good +/-, or 60-84%	 The submitter has demonstrated an approach that is considered to exceed stated requirements/objectives and offers a generally better than acceptable quality. There is little risk that the submitter would fail to meet the project goals. Weaknesses, if any, are minor. Acceptable +/-, or 20-59%	 The submitter has demonstrated an approach that is considered to meet the stated requirements/objectives and has an acceptable level of quality. The submitter demonstrates a reasonable probability of meeting the project goals. Weaknesses are minor. Unacceptable, or 0-19%	 The submitter has demonstrated an approach that is considered to fail to meet the stated requirements/objectives and/or provides unacceptable quality and/or demonstrates no reasonable likelihood of meeting the project goals and/or contains weaknesses that are major. For the purposes of evaluating SOQs, a strength represents a part of the SOQ that ultimately represents a benefit to the project and is expected to increase the Submitter’s ability to meet or exceed the project goals. Significant strength has a considerable positive influence on the submitter’s ability to meet or exceed the project goals. Minor strength has a slight positive influence on the submitter’s ability to meet or exceed the project goals. For the purposes of evaluating SOQs, a weakness represents a part of the SOQ that detracts from the submitter’s ability to meet the project goals or may result in inefficient or ineffective performance. Significant weakness has a considerable negative influence on the submitter’s ability to meet the project goals. Minor weakness has a slight negative influence on the submitter’s ability to meet the project goals. According to 7 CSR 10-24.030, all responses to the Request for Qualifications will be evaluated by a prequalification review/short listing team, known as the Executive Selection Committee. The Executive Selection Committee will be comprised of the following MoDOT staff or their designated representative: Chief Engineer, Chief Financial and Administrative Officer (Chief Financial Officer), Controller (Financial Services Director), Director of Program Delivery (Assistant Chief Engineer), one or more District Engineer(s), Project Director for Project, State Construction and Materials Engineer, State Bridge Engineer and the State Design Engineer. Federal Highway Administration (FHWA), acting as an external partner will be an observer to the prequalification/short listing process. A representative from the Chief Counsel’s Office should attend this meeting to advise staff on any legal matters. Following the presentation, the Executive Selection Committee will move to approve the short list. Once the short list is approved, all submitting teams should be notified whether or not they were short-listed. Once the teams have been notified, the short list is announced publicly, through a press release and/or posting on the project website. After the short list is announced, the project team may elect to offer debrief meetings with all submitting teams, including those that were not short-listed to provide feedback on their SOQs. 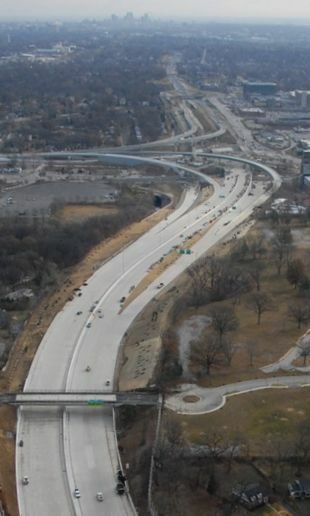 The I-64 reconstruction project in St. Louis was selected as the 2010 America's Transportation Awards Grand Prize Winner by the American Association of State Highway and Transportation Officials (AASHTO), AAA and the U.S. Chamber of Commerce. Once the risk assessment and risk allocation processes have been completed by the project team, or are far enough along to provide adequate guidance, the Request for Proposal (RFP), or Phase 2, documents can be developed. An RFP defines the legal, technical and selection requirements for the project. It should be noted that development of the RFP must occur concurrently with the RFQ and short listing process in order to be meet the requirements for RFP release stated in the RFQ. There are three main objectives of the Request for Proposals process. First, the RFP provides clear, concise and flexible technical requirements that will promote a quality project and will become the contract documents. Second, the RFP provides contract terms that fairly allocate risk between MoDOT and the contractor. Last, the RFP details the contractor selection criteria that are designed to achieve or exceed the project goals. Throughout the design-build process, it is important to use the philosophy, “write what you mean, say what you mean, do what you say/write.” The result is an RFP that clearly describes and defines the “must have” requirements for the project while allowing the maximum amount of flexibility for the proposers. To maintain flexibility in the RFP, project teams should define ONLY minimum requirements that are absolutely necessary for each technical discipline. This allows each proposer to submit FHWA approved standards, specifications, designs and approaches that have been used on other projects. The proposed approaches should be approved unless there is a reason that the approach cannot apply in Missouri or in the specific project’s situation. Shortly after the short list developed in Phase 1 (the RFQ process) is announced for a project, the RFP is released. Other than forms, RFQ and RFP documents should be released in pdf format. In order to maintain confidence in the process and to meet our obligations, it is critical to release the RFP on or before the date committed to in RFQ. The RFP is typically released via an external SharePoint site, which set up specifically for the project. The Project Director should contact the Design-Build Coordinator or the IS department to get the site set up. The site will contain a “MoDOT” folder, where MoDOT can post information for all teams to see, as well as individual team folder for each short-listed team. Only the individual team and MoDOT can see each respective individual team folder. Once the SharePoint site is set up, each short-listed team shall be granted access to the MoDOT folder and their respective individual team folder. The SharePoint site will be used throughout the RFP (Phase 2) process to communicate with proposers, send and receive documents and to receive the proposals. In some cases, the project team may choose to release a draft RFP in advance of the RFP release. This is known as an “industry review” and would typically be used only on very large projects or on projects using new and different procurement strategies or atypical risk assignments. The purpose of the industry review is to give the design-build industry the opportunity to voice questions or concerns in a confidential setting. Through the process, issues or unclear provisions in the draft RFP can be clarified or revised based on the feedback of the proposers. The allocations of specific risks can also be revised if the proposers provide feedback that a different allocation is more beneficial to both parties. The fact that the industry review process is a confidential process allows each proposer to candidly discuss the contents of the draft RFP without fear that their questions will be communicated to other proposers and minimizes the potential to “give away” its proposal strategies. After the draft RFP process, a “final” RFP will be issued. If a draft RFP process is pursued, the specifics and appropriate timeline should be reflected in the procurement schedule defined in the RFQ. Once the final RFP is issued, the project team will conduct one-on-one confidential meetings with each of the shortlisted design-build proposers to allow them to submit their proposed scope ideas and proposed standards and designs that have been approved on other projects. This process allows the proposers to submit alternative approaches and creative solutions for approval. The project team should provide the proposers feedback on what it values according to the project goals related to the proposals without leading the proposers to technical approaches they may prefer. The discussions with individual proposers are confidential so that proposers will be encouraged to propose innovative, cost-effective solutions. MoDOT should host a separate kick-off meeting with each short-listed team to discuss the RFP bidding process, special RFP requirements and other pertinent information. A sample kick-off meeting agenda is available. Typically, the subsequent meetings are held at the Proposers place of business (in the same region as the project) and will be limited to a specified number of hours and times per week, usually once per week or once every-other week. The proposers establish the agendas for the meetings. The agendas for the meetings are provided to the project team at least two business days prior to each meeting so key discipline leads may attend. The proposers may present technical solutions during the meetings. If the proposer desires, a preview of the technical concepts can be accommodated in advance of the meetings by posting the information to a secure project SharePoint site. The project team will provide verbal feedback to the Proposers on whether the proposed technical solutions achieve or exceed the project goals and meet the requirements of the RFP. Additionally, potential improvements such as Project definition changes, moving focus from one technical area to another and changes within a technical area may be identified and discussed. It is very important, however, that the playing field be kept equal for all potential bidding teams. The project team will not provide solutions to the proposers. The project team will provide consistent answers to questions in each confidential meeting to keep a level playing field. During the meetings, proposers may request clarifications to the RFP. It is important that proposers understand throughout this process that critical issues identified may require an RFP addenda, which once identified, is shared with all short listed teams and that the project team reserves the right to do so at the start of the process. The proposers may request clarifications to the RFP informally during the confidential meetings, or formally in writing. The project team may provide responses to informal requests verbally during the confidential meetings or may request that the request for clarification be submitted formally. Formal requests must be submitted on Requests for Clarification (RFC) (Form 139.8.2.2(a)). The project team will determine if its responses need to be provided to all teams, on the master RFC form or to just the requesting team. Prior to responding to all teams using the master RFC Form, the specific proposer making the request will be informed of the determination that the master RFC is required and will be provided the opportunity to withdraw the question. However, the project team must reserve the right to issue RFP addenda if an issue is raised that must be corrected. Responses to formal requests will be posted on the project's SharePoint site. AASs and Design Exceptions shall be submitted by each proposer using forms provided in the RFP. AASs should be submitted using Form 139.8.2.2(b). Design exceptions must be documented on the Design Exceptions Fomm (Form 139.8.2.2(c)) and detailed on the Design Exception Information Form (Form 139.8.2.2 (d)). Proposers shall be responsible for submitting enough information about the AAS or DE so that it can be adequately evaluating. The project team should encourage submittals of AASs and DEs early in the technical discussions. The project team will provide feedback regarding the acceptability of the AASs and design exceptions either verbally during the meetings or in writing (via e-mail or the secure SharePoint site). The project team will also consult with FHWA to obtain concurrence or approval, as described in the FHWA Design-Build Program Agreement. For some projects environmental commitments have been made prior to the RFP. In these instances it is important to document environmental commitments, and evaluate any proposed changes to the commitments. In these cases, the project team will provide a list of environmental commitments in a spreadsheet. In accordance with the RFP, a NEPA re-evaluation or revision may be required, depending on the content of each Proposal. As described in the FHWA Design-Build Program Agreement, to prepare for any potential revision, each proposer may be asked to use the Environmental Commitments Form (Form 139.8.2.2(e)) to request any commitment revisions. This form may not be necessary for all projects. For some interstate projects, an Access Justification Report may be required. As described in the FHWA Design-Build Program Agreement, to prepare for a potential AJR revision, a proposer may be asked to submit a draft AJR revision, in advance of their proposal submittal to obtain concurrence from FHWA. The RFP should be continually reviewed as it is developed and throughout the RFP process, during the industry review process, if used, after the RFP has been finalized, and during the confidential one-on-one meetings. Once the RFP is issued, the project team will issue addenda as necessary, which will be incorporated into the final contract between MoDOT and the design-build contractor. The purpose of the addenda process is to supplement and make corrections to the RFP. In the typical case when no draft RFP is issued, the addenda process can be used to clarify risk allocations or make certain contract provisions more clear. However, major changes to the RFP requirements should be avoided, especially late in the process. Sample Addenda Cover Sheet and Issued Addenda. Issued addenda should include a cover sheet and clearly identify each document change in the document(s) using tracked changes. A sample addenda cover sheet and issued addenda are available. Normally, Books 3, 4 and 5 simply include an index of referenced documents. However, if these referenced documents are not generally available, MoDOT should place them on the project SharePoint site or make copies of each and provide them to the short-listed proposers. A sample RFP is available. Books 1-4 and the accepted proposal are combined to create the official contract, once the project is awarded and the final negotiations process is complete. Book 5 is for information only and not contractual. Boilerplate documents are available through the Statewide Design-Build Coordinator and can be found on MoDOT Design Division’s internal SharePoint Site. The purpose of Book 1 (also referred to as the “contract”) is to define the legal parameters of the design-build contract and to provide for flexibility for the design-build contractor. The requirements for payment, change orders, project acceptance and dispute resolution are included here. This book designates the areas where, after award of the contract, the design-build contractor has the flexibility to propose cost-savings changes to the contract requirements that are equal to or better than the technical requirements. Additionally, this book distinguishes the specific areas where cost savings proposals are treated as value engineering proposals. Book 1 is fairly standard and does not typically change much from project to project, except for insurance amounts, mobilization payments, liquidated damages, escrow requirements or other project specific values. A critical exhibit to Book 1 is the definitions exhibit, applicable to all of the RFP documents. Many definitions in the RFP are unique to the Design-Build process and have been changed from the traditional design-bid-build definitions to conform to the risk allocation decisions that have been made for the project. In order to understand the technical requirements of the RFP, it is necessary to understand the applicable definitions. 1. A description of the contract documents and how they are to be interpreted, e.g., order of precedence of the books included in the contract documents, federal requirements, project deadlines, and definitions applicable to all of the RFP documents. 2. A description of the legal obligations of the design-build contractor, including performance of all of the work in accordance with the RFP requirements and responsibility for final design. 3. Information supplied to the Design-Build contractor and the legal significance of the information. 4. Requirements for notice to proceed (NTP), scheduling and project completion. A provision that is unique to the design-build process is issuance of a notice-to proceed that allows the Design-Build contractor to begin construction of the project only after submitting a cost-loaded schedule that is necessary for MoDOT to make monthly progress payments to the design-build contractor as the work progresses. Another unique provision is that there are two NTPs on design-build. The first NTP releases the contractor to begin design. The second NTP releases the contractor to begin construction. 5. Change order procedures, including right of way and utility work that are added or deleted from the scope of the design-build contractor’s work in the RFP. Design-Build RFPs include the traditional value engineering change proposal provisions, however, a unique concept that has been developed to give the design-build contractors flexibility is the “Equal or Better” process, which allows the design-build contractor to propose innovative, cost-saving solutions in lieu of the RFP requirements. As long as these proposed solutions are equal to or better than the requirements of the RFP, the design-build contractor realizes the cost savings from using the alternatives. 6. DBE, EEO, subcontractor, labor requirements and key personnel requirements. The DBE requirements are modified for the design-build process, since the Design-Build contractor does not have the final design when it submits its proposal and therefore it cannot name all of its DBEs at the time of the proposal. The key personnel concept allows certain key personnel positions to be defined. Once identified by the Design-Build contractor, the contractor must obtain approval before replacing personnel in a key personnel position. 7. Surety bond, insurance, maintenance responsibilities, suspension, termination, default, damages and indemnification provisions. 8. Partnering and dispute resolution provisions. 9. Miscellaneous legal requirements, including provisions related to acceptance, warranties, document requirements, and cooperation and coordination with others. 10. The process for distributing the stipend to unsuccessful but responsive proposers. The stipend payment transfers ownership of ideas and intellectual property of both the successful and qualifying unsuccessful proposers. As described in the design-build rules, the stipend amount determination may consider: (A) Project scope; (B) Substantial opportunity for innovation; (C) The cost of submitting a proposal; (D) Encouragement of competition; (E) Compensate unsuccessful proposers for a portion of their costs (usually one-third to one-half (1/3 to 1/2) of the estimated proposal development cost); and (F) Ensure that smaller companies are not put at a competitive disadvantage. Book 2 provides the project specific technical requirements of the RFP. The purpose of the technical requirements is to define the “box” that the design-build contractor needs to stay within in designing and building the project. To invite innovation, the technical requirements should be as flexible as possible to maximize the proposer’s ability to meet or exceed the project goals. However, if there are specific items that are absolutely required as part of the project, those should be specifically identified. Book 2 can also include items not typically found in any state specifications but could be considered special provisions to a particular project, such as environmental requirements, third party agreement requirements or public information requirements. In preparing the technical requirements, standard operating requirements and procedures may be modified, where appropriate, to better fit the flexible design-build process and conform to the risk allocation decisions applicable to the project. Requirements detailed in third party agreements shall be negotiated with the third party as required to further define the minimum applicable requirements. Although difficult, an objective of Book 2 is to balance defining the minimum acceptable requirements applicable to the project while providing the design-build contractor with the maximum flexibility possible. This book outlines deliverables, the timing of them, and whether items are for approval or not. 1. Basic Configuration. The basic configuration provides the overview of the final product, or what the project will achieve when it is completed. It is a concept of the “envelope” of right of way and physical requirements that the design-build contractor will have to design and construct the project. The basic configuration is usually based upon the design in the environmental documents prepared for FHWA approval of the project. However, if no design of this nature exists or if the environmental document design does not adequately define the “envelope”, the basic configuration may be based upon design work performed specifically for this purpose. MoDOT typically uses broadly defined basic configuration definitions to promote design flexibility, and does not include preliminary design requirements. The purpose of the Basic Configuration definition is to define the degree of design flexibility provided to the design-build contractor and the degree to which the design–build contractor can rely upon the owner-supplied preliminary design included in the Request for Proposals (RFP). In order to provide the design-builder with the most design flexibility, any owner-supplied preliminary design work should be provided for “information only”. By doing this, the design-build contractor is not required to follow the preliminary design but, in return, cannot rely upon the preliminary design documents included in the RFP. 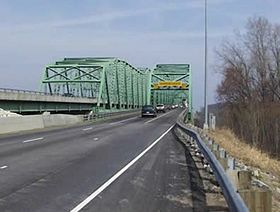 Since there usually are key project components that are identified in the preliminary design that form the foundation of a project’s scope, the MoDOT project team could choose to include those key project components in a basic configuration definition and thereby make the referenced components contract requirements. a. It allows the MoDOT project team to define the minimum requirements or “must have” project components. b. It defines the basic elements of the project from which the Design-Build contractor may not deviate without an Project Director approved change order. c. It defines which elements of the preliminary design, if any, are contract requirements. d. It allows the MoDOT project team to define the degree of flexibility provided to the design-build contractor in its design of major project elements, usually referred to as the “design window”. e. It allows the Design-Build contractor to incorporate changes to the provided preliminary design within the defined “design window” which establishes design flexibility. f. It gives the Design-Build contractor the flexibility to optimize their proposed design. The contract documents contain provisions restricting the design-build contractor from making changes to the basic configuration without owner approval. Additionally, provisions address that if the basic configuration is not constructible, the owner will pay the design-build contractor’s costs of correcting or addressing the problem. Therefore, the more defined the basic configuration, the more risk MoDOT assumes. Examples of Basic Configuration definitions on MoDOT design-build Projects are available. The Basic Configuration definition usually includes a general description of the project termini, right of way limits, the general types and locations of interchanges and the numbers of lanes and lane widths. MoDOT’s approach is to limit the basic configuration definition to the minimum requirements that are absolutely necessary for the project, e.g., right of way limitations based on intergovernmental agreements. 2. Project Management. The project management performance requirements include the invoicing, scheduling and co-location requirements necessary to manage the project. 3. Quality Management. Defines the quality management performance requirements for the project, including required Quality Manual information, materials management and quality oversight. 4. Public Information. The public information performance requirements may define the responsibilities for the design-build contractor in regards to certain communication efforts, including the timelines for requests for information and emergency situations. 5. Environmental Requirements. This section defines the minimum environmental performance requirements for the project, typically outlined from the approved project environmental documents. 6. Third Party Agreements. This section includes a summary of third party agreements and related minimum performance requirements including finalized and future agreements. 7. Utility Relocations. Since the final design is not known at the time of the proposal, a master utility agreement that defines the processes that the utility owner, MoDOT and the design-build contractor will follow is typically required. This section includes performance requirements regarding utility tracking reporting and the work order process. 8. Right of Way. This section communicates performance requirements regarding right of way, including rules and risk allocations for additional acquisitions, if needed. 9. Survey. Provides survey control and datum performance requirements and other survey performance requirements. 10. Geotechnical and Earthwork. This section details the geotechnical report and assigns risk regarding provided geotechnical borings. 11. Signing, Pavement Marking and Lighting. This section provides minimum performance requirements for signing, pavement markings and lighting. 12. Drainage. This section provides minimum performance requirements for drainage. 13. Roadways and Pavements. This section provides minimum performance requirements for roadways and pavements, including AJR, local road, driveway and bicycle and pedestrian requirements. 14. Signals and Intelligent Transportation Systems (Traffic Management Systems). This section provides minimum performance requirements for traffic management systems. 15. Structures. This section provides minimum performance requirements for structures. 16. Maintenance of Traffic. This section provides minimum performance requirements for the maintenance of traffic plan, traffic control plans and detours. 17. Maintenance during Construction. This section provides minimum performance requirements for maintenance during construction and assigns risk for project maintenance during the design-build contract. 18. Optional sections. Project specific topics such as performance requirements for landscaping, aesthetics or safety can be included in this section. 19. Modifications to Standard Specifications and Special Provisions. While most of the standard specifications and special provisions are applicable to Design-Build projects, some of them must be modified in some manner to reflect the design-build process. As an example, the price adjustments for nonconforming but acceptable work are applicable to design-build projects, but design-build projects have no unit prices that are contemplated in the standard specifications. Therefore, if price adjustments are used for the project, the specification or special provision should be modified for the design-build process. Book 3 documents provide the design-build contractor the requirements that cannot be modified except through a value engineering and/or design exception process. As such, the risk of changes to Book 3 documents rest upon the design-build contractor. If standards or specifications in Book 3 are amended after the proposals have been submitted at MoDOT’s request, MoDOT assumes the risk associated with these changes. Book 3 documents include the federal standards and requirements applicable to all projects and the contractor’s proposed standards, requirements and specifications. For example, AASHTO standards, ANSI standards, FHWA guidelines and MoDOT or other DOT and FHWA applicable design standards are included in Book 3. Even with the flexible design-build model, design-build contractor teams still have to meet quality & safety laws and requirements (federal and state). Since design manuals have been written as internal, guidance documents they must be reviewed to ensure that their provisions are enforceable, either by incorporating enforceable requirements in Book 2 or by making revisions to the manuals in Book 3. The purpose of Book 4 is to provide the design-build contractor with the data, reports and studies for which MoDOT guarantees the accuracy and assumes the risk for any necessary changes. Book 4 documents typically include the project right of way plans and any requirements from which the Design-Build contractor cannot deviate, such as architectural requirements that are applicable to the project’s corridor. Specific sections of Book 2 are used to clarify the risk assignment of documents in Book 4. Some examples of Book 4 documents include third party agreements (those between MoDOT and an entity other than the design-build contractor) that the design-build contractor will be required to comply with, permits obtained for the project, and applicable NEPA environmental documents. Book 4 may also include geotechnical or hydrological data, studies and reports, if the project team decides during the risk assessment/risk allocation process that the accuracy can be guaranteed. The most important analysis to perform is a determination of which of the documents it will accept the risk of accuracy (Book 4, contract drawings, data and reports) and which will be provided to the Design-Build contractor for information only (as reference documents in Book 5). The fifth group of documents in the RFP process is “reference documents”, which are informational only. The sole purpose of the reference documents is to provide the proposers with as much information as possible without guaranteeing the accuracy of the documents. Reference documents might include any preliminary reports or design documents that have been prepared for the project that are not included in any other book. The reference documents are provided to the design-build contractor for information only, and the contractor is not entitled to a change order for any errors or omissions in them. The purpose of the ITP is to define the expectations for the form and contents of the proposals and to describe the criteria that will be used for scoring. Specifying the format of the proposals ensures that the proposals will be uniform and easily comparable. Additionally, a uniform and consistent format focuses the proposers on the substantive contents of their proposals. The ITP provides instructions on the required form and content of the proposals, as well as how to propose alternatives to the project scope and standards, specifications and requirements detailed in the proposal. Additionally, the ITP includes a description of the criteria that will be used to evaluate the proposals and the formula or methods used to score them. The prioritized evaluation criteria provides insight to proposers on how to best meet the project goals. With well-defined scoring criteria, it should be evident how the scoring criteria relates to the project goals. The inclusion of this evaluation criteria is required by MoDOT statute and rules. Examples of scoring criteria used on design-build Projects are available. The selection criteria define not only how the proposals are going to be evaluated, but provide insight to the proposers about the relative importance of the various elements of the project and project goals. The primary objectives in developing the selection criteria is to demonstrate what requirements are most important, and to determine what criteria will help identify the best value proposal. The selection criteria are provided in the ITP in order to assist the proposers in tailoring their proposals to best meet the project goals. Additionally, the ITP identifies the rules for the proposal process, such as how clarifications will be addressed, what communication will be allowed, what conflict of interest rules are applicable, and what laws and procedural requirements are applicable. Pursuant to the design-build rules, the selection criteria options on a standard Design-Build selection include: lowest price, adjusted low-bid; meets criteria/low bid; weighted criteria process; fixed price/best design or “build to budget”; and best value. 1. The “lowest price, adjusted low-bid” procedure is a process where the price of each proposal is divided by the respective proposals qualitative criteria score, and the lowest adjusted price is selected. 2. The “meets criteria/low bid” procedure is a process where proposals must meet or exceed the criteria set forth in the RFP to be eligible and of the eligible proposals, the lowest priced proposal is selected. 3. The “weighted criteria” process is a form of best value selection where maximum point values are pre-established for both qualitative and price criteria, and the award is made to the proposal with the highest point score. 4. The “build to budget” selection is a form of the best value selection where the contract price is fixed, the qualitative criteria is set forth in the RFP, and the proposal that best meets or exceeds the qualitative criteria is selected. 5. The best value selection is determined based on which proposal best meets a combination of price and qualitative criteria. The criteria that will be used to evaluate the “best value” for MoDOT on all of the above five processes are set forth in the Instructions to Proposers (ITP), which is issued simultaneously with the RFP. Pursuant to the design-build rules, the ITP will clearly specify all factors and significant sub-factors and their relative importance that will be used to select the proposal that provides the best value. The factors and sub factors should reflect the goals of the project. The ITP will indicate the method that will be used to evaluate the selection criteria. The selection criteria should be focused on the identifying the proposal that best meets or exceeds the project’s goals. There are a number of common items found in many ITPs such as a description of the project, the RFP documents, the estimated cost of the project, the procurement schedule, the goals for the project, and the general procurement process, including the industry review procedure (if used). The selection criteria for each project should be unique and tailored to the desired outcome. While most of the following example issues are important, when developing the selection criteria, MoDOT will need to rank these and other project-specific criteria to determine which selection criteria process will best meet the project goals. Are there public involvement needs with the project? How critical is inconvenience to the public important? Would the project benefit from local design and construction experience? How critical is a contractor’s design-build experience? Are there environmental compliance needs? How critical is the budget? Would the project benefit from contractor partnering? How critical is the schedule? Is the contractor’s approach to quality management important? Would the project benefit by providing additional flexibility to the contractor? Are there critical management systems/philosophies? The selection criteria should communicate the expectations and desires for the project while being in line with the project goals. When developing proposal scoring criteria, it is also important to ask, “How will this be scored?” to ensure the information requested in the RFP can be evaluated fairly in a short amount of time. The ITP should include a description of the definitions applicable to the proposals, the project goals, the maximum contract price, and the Basic Configuration (or “envelope”) available for the project. Many of the items described in the ITP may cross-reference the RFP. The ITP should specify which contractor team members are considered “Major Participants”. These members will need to supply required information such as bonds and federal and state required certifications.” Since many proposing teams are joint ventures and these joint venture will only exist as related to the project, commitments and information are needed for the larger members of the joint venture teams. The ITP will also include a description of the proposal process, which provides for communications, industry review, discussions with proposers regarding their innovative ideas, submission of draft and final proposals and AASs. Confidential proposal discussions are used to provide the proposers with a maximum amount of flexibility while maintaining the requirements in the RFP. The ITP includes a format, or outline, for the proposals. As part of the format, it is beneficial to include as many forms as possible so it is clearly understood what information and in what form the proposal should be submitted. The critical element in the ITP is a description of how the proposals will be evaluated (the selection criteria). While the project team has broad discretion to determine the evaluation factors, budget and the quality of the service will always be included as factors for design-build projects. The specific rating method or combination of methods is clearly specified in the ITP, including color or adjectival ratings, numerical weights and ordinal rankings. The ITP should include the bonding requirements including the amount and the format for the bonds. Additionally, it should require the proposers to submit a detailed plan for meeting the project DBE goal or goals for design and construction. The evaluation of the proposals must be based solely on the factors and subfactors listed in the ITP. The ITP should include a list of required forms and reports that must be submitted with the proposals for evaluations. These forms represent the proposer’s commitments and will be contractual. A sample ITP is available. The evaluation criteria should specify which criteria are pass-fail and how the remaining factors will be weighted. Weighting of the factors can be based on factors or can be broken down to subfactors. Details on project authorization are available in the FHWA/MoDOT Design-Build Program Agreement. An example of project certification is available. Approval of Project Financial Plan, if required. Following FHWA’s approval of the RFP, submittal of the written certification and review or approval of the project FP, the project must be approved by FHWA in the Fiscal Management Information System (FMIS), FHWA’s financial database. The FMIS approval/authorization will constitute FHWA approval to release the RFP. The Project Director should work directly with their assigned FHWA Transportation Engineer to ensure all items are completed per the CFR and per the FHWA/MoDOT Design-Build Program Agreement. When the final proposals and price allocations are received, the price allocations will be separated from the proposals and will not be opened until completion of the proposal evaluations. Before proposal evaluations begin, the proposal documents undergo a compliance review to ensure the proposal is a complete, responsive proposal. Staff from External Civil Rights should review proposals for DBE compliance. Pursuant to state statute, at least two responsive proposals must be received in order to award the design-build contract. A confidential Proposal Evaluation Procedures document shall be created for each design-build project. The document shall include details of maintaining confidentiality of the proposals, scoring team organization and roles, scoring procedures and evaluation criteria, including compliance reviews. Each member of the scoring team shall sign the Confidentiality Agreement (Form 139.1.3) and the Proposal Conflict of Interest Form( Form 139.8.2.5). Past experience has shown that holding preparation meetings with each scoring team in advance of receiving the proposals is very beneficial. Teams should be reminded that the rating method specified in the ITP must be used. After scoring is complete, The Project Director, with input from evaluation team members if needed, will prepare a Final Recommendation Report. An example of proposal rating criteria used on past projects is below. Exceptional +/–	 The proposer has demonstrated an approach that is considered to significantly exceed stated requirements/objectives and provides a consistently outstanding level of quality. There is little or no risk that the proposer would fail to significantly exceed the project goals. This rating is worth 85% – 100% of the available points. Good +/–	 The proposer has demonstrated an approach that is considered to exceed stated requirements/objectives and offers a generally better than acceptable quality. There is little risk that the proposer would fail to exceed the project goals. This rating is worth 60% – 84% of the available points. Acceptable +/–	 The proposer has demonstrated an approach that is considered to meet the stated requirements/objectives and has an acceptable level of quality. There is little risk that the proposer would fail to meet the project goals. This rating is worth 20% – 59% of the available points. Poor	 The proposer has demonstrated an approach that is considered to fail to meet the stated requirements/objectives and/or provides unacceptable quality and/or demonstrates little reasonable likelihood of meeting the project goals. This rating is worth 0% – 19% of the available points. NOTE: As used above +/– delineates the proposer’s rating within the related rating (i.e., + shall be considered as high within the rating and – shall be considered as low within the rating). For the purposes of evaluating proposals, a strength represents a part of the proposal that ultimately represents a benefit to the project and is expected to increase the proposer’s ability to meet or exceed the project goals. Significant strength has a considerable positive influence on the proposer’s ability to meet or exceed the project goals. Minor strength has a slight positive influence on the proposer’s ability to meet or exceed the project goals. For the purposes of evaluating Proposals, a weakness represents a part of the proposal that detracts from the proposer’s ability to meet the project goals or may result in inefficient or ineffective performance. Significant weakness has a considerable negative influence on the proposer’s ability to meet the project goals. Minor weakness has a slight negative influence on the proposer’s ability to meet the project goals. After proposal evaluations are complete, a proposal is selected and the Final Recommendation Report is generated. This report, often in the form of a presentation, should include information on the scoring criteria, including the relationship between the scoring criteria and the project goals, a detailed synopsis of Proposals received and scoring outcomes for each category. The Project Director will present the Final Recommendation Report to the Executive Recommendation Committee, which may includes the Director of Transportation, Chief Engineer, Chief Financial Officer, Assistant Chief Engineer and District Engineer. Additionally, FHWA and Chief Counsel’s Office should be represented at the meeting. Please note that each member of the Executive Recommendation Committee shall sign a Proposal Conflict of Interest Form (Form 139.8.2.5) and, if not previously signed, the Confidentiality Agreement (Form 139.1.3). The Executive Recommendation Committee will consider the supporting information and recommendation and will select the final apparent best value proposal, which will be presented to the Missouri Highways and Transportation Commission (MHTC) in closed session. The MHTC will consider the supporting information and final recommendation and will select the best value proposal. The Commission's selection of the best value proposal also serves as the Commission's formal design approval for the project. Upon selection, concurrence of the award shall be obtained from FHWA before the award is announced publicly. An example of a Commission Award Back-up Information form and the Contract Execution Authority Memo are available. Upon final selection of the best value proposal, all proposers should be notified whether or not they will be recommended as the best value proposer for the project. The best value proposer should be asked to attend the public MHTC meeting in person. At the public MHTC meeting, the Project Director will request the MHTC’s approval of the best-value award, approval to negotiate a contract with the best-value proposer and pay the project stipend to the losing proposers. Once the project has been awarded, the best value proposal should be announced through a press release and/or posting on the project website. Typically, a news conference has been held following the MHTC meeting to discuss the project details with the media in the project area. The need for a news conference will be dependent on the size of the project and/or public interest in the project. After the project award is announced, the project team may elect to offer debriefing meetings to all proposing teams, including those that did not submit the best-value proposal, to give feedback on their proposals. As described in the RFP, the stipend distribution process is followed. Each losing team must sign a Stipend Release Form (Form 139.8.2.6) before receiving a stipend for their proposal. Once the Stipend Release Form has been completed and the stipend paid, the Commission retains the right to use ideas from both successful and unsuccessful proposers. Proposers submitting non-responsive proposals are not eligible for payment of the stipend. The contract will be finalized through a negotiation process. If no final agreement is reached between MoDOT and the proposer with the apparent best value proposal, MoDOT reserves the right to pay the stipend to the apparent successful proposer and to negotiate a contract with another proposer with the second highest score. Confidentiality remains critical until all stipends are paid and the contract executed. During contract negotiations, the proposer with the best value proposal may review the other submitted proposals once the stipends have been paid. Ideas from the other proposals may be negotiated and incorporated into the best value proposal with concurrence of the winning proposer. Once a design-build contractor has been selected and a contract has been executed, there are several procedures that the project team can implement to help ensure success on the project. Effective processes will vary depending on the design-build contractor involved, the size of the project team and the size and complexity of the project. However, it is important to continue to live the design-build values throughout the contract, focusing on “what the contract says” and always evaluating "want vs. need." After the contractor has been selected, the project management team should meet on a weekly basis and discuss the progress of partnering with the contractor. Ideally, the project team and the contractor team will be co-located and will have scheduled weekly meetings. Co-location of MoDOT staff with contractor and consultant staff allows for easier collaboration and problem solving throughout the project and aids in partnering. The weekly project management team meetings should be focused on managing delivery of the project, addressing any issues and maintaining the goals of the project. Example partnering documents, including the partnering charter, partnering surveys and partnering report from The New I-64 Project are available. A partnering charter and process between MoDOT and the contractor is essential to a successful project. Example partnering documents, including the partnering charter, partnering surveys and partnering report from The New I-64 Project are available. The charter establishes the general ground rules and processes which will be used as the two teams work together to deliver the project. However, the MoDOT project team must remember that the contractor must comply with the terms of the contract documents above all else. A common mistake on previous projects has been the failure to distinguish between contract compliance and being a “good partner.” While on all projects there are times that it is appropriate to be flexible with a resolution to a specific problem, with design-build it is critical that the contractor complies with the terms of the contract documents. It is often useful to have regular task force meetings where the MoDOT, the designer and the contractor discuss the progress being made, and resolve issues or disagreement as they occur. Specific disciplines that may benefit from task forces meetings include roadway, drainage, structures, maintenance of traffic, quality and utilities. MoDOT would then use internal management meetings with the project team to discuss any outstanding issues or conflicts identified in the task force meetings. Based upon the contract, responses are prepared and provided to the contractor team to resolve the issues in a timely fashion. Since each design-build project and each design-build contractor are different, project teams are encouraged to try to be flexible in the approach to the various processes. However, experience has shown that for items such as change orders, potential disputes, and responses to the contractor, the more defined the internal processes are the smoother the project will proceed. Total payment amount to date. MoDOT will use an audit approach for assessing the contractor’s performance. This will entail checking on a sampling basis whether the Work is complying with the requirements of the contract documents. A sample Quality Oversight Plan is available. At the completion of the project, MoDOT is required by 23 CFR Part 637 to provide a materials certification for the project. The certification will conform in substance to Appendix A of 23 CFR Part 637 Subpart B. The certification will be prepared and submitted at the project level by persons intimately familiar with the project. The basis for the materials certification will be upon implementation of a quality assurance program meeting the criteria of 23 CFR Part 637. An FHWA Technical Brief regarding construction quality assurance for design-build highway projects]] is available. Once the contract has been executed it is important to keep a Conformed Contract, documenting all changes through the course of the contract. When a Change Order or Equal or Better Change Proposal is executed, tracked changes should be used to document the change(s) in the Conformed Contract. Changes to the Conformed Contract should be tracked, documenting each contract element changed and the date of the change. A sample Conformed Contract tracking sheet is available. Funding from Other Sources (FFOS) should be included on the SIMS form. In the event that FFOS is added into the design-build contract via change order, the project team shall provide the change order information to Transportation Planning and Financial Services. In some cases there may be preliminary engineering and/ or consultants set up prior to the project being selected for design-build, resulting in multiple project numbers included with the P phase. In this case, the district should provide a preliminary budget spreadsheet for the Financial Services Projects and Accounts Receivable Sections. Based on prior costs and how they fit in the project budget, Financial Services assesses what project numbers are needed and communicates back to the district. Projects with program costs under $100 million do not require an FP. Projects with program costs over $100 million but less than $500 million require an FP. No FHWA approval of the FP is required, but FHWA review of the FP is required. Approval of the project FP will be provided by the Chief Financial Officer, or the CFO’s representative. Projects with program costs over $500 million require FHWA review and approval of the FP. To maintain consistency in design-build projects, project teams should set up their electronic file storage as shown in the Document Structure Template. Many design-build files are confidential, requiring the project SharePoint site to have access restricted to those members of the project team. Some folders can be given “read” or “contribute” access on an as needed basis for other staff assisting the project team. When developing a detailed procurement schedule, teams should look at the time it will take to develop the contract documents. Teams should include document review times in the detailed schedule to ensure enough time is allowed for the required reviews. A best practice is to talk with FHWA and Design's Environmental Studies section when developing the project schedule, so they can anticipate required resources. See the FHWA/MoDOT Design-Build Program Agreement for topic specific review times. The New I-64 Incentive Plan is available as an example. Contract incentives can be used to reward the Design-Build contractor team for desired behaviors. In other words, incentives offer the opportunity to align the contractor’s interest with MoDOT’s. Incentives should be set up so that if MoDOT is successful, the Design-Build team is successful as well – mutual success. If incentives are used, they should be focused on non-cost issues such as traffic flow or customer satisfaction, and they should be meaning to the contractor. The New I-64 Incentive Plan is available as an example. A receipt should be provided to submitting teams for SOQs and Proposals, documenting the delivery time and person taking delivery. A receipt template is available. Design-build RFP documents need to be prepared in a consistent manner using clear, enforceable language. In general, RFP documents should be based on performance-based requirements rather than prescriptive specifications. In other words, the requirement should state a desired result, without specifying how to achieve the result. Authors should rely on existing standards to the extent possible and avoid repeating information already contained in referenced standards. The RFP documents should primarily contain additions, modifications, or clarifications to the referenced standards. Authors should also strive to avoid repeating information contained elsewhere in the RFP. Correct – The requirement is technically accurate. Feasible – The requirement is achievable and reasonable. Complete – The requirement expresses a whole idea or statement. Consistent – The requirement is not in conflict with other requirements. Verifiable (auditable) – The requirement can objectively be confirmed to have been met. Traceable – The impact to changing the requirement is easily known. Required – The requirement is determined necessary. The following are some terms and situations commonly encountered in preparing technical documents. For a list of terms with specific meanings to the MoDOT Design-Build program, refer to the Acronyms and Definitions included in Book 1.
abbreviations and acronyms: Use only abbreviations and acronyms from the Acronyms and Definitions list developed for this program/project. To make an acronym plural, add an s if the acronym itself is singular (ADTs, UISs), but not if the acronym stands for a plural term (RD, not RDs, since RD stands for Reference Documents). accept/acceptance: On the MoDOT Design-Build Program, accept specifically means that the Owner agrees that a certain matter or item submitted for acceptance appears to meet the Contract requirements. Be aware of the distinction between accept and approve (see approve/approval) and the distinction between accept and except (see except/exception). access: Use as a noun, not as a verb. active vs. passive verbs: An active verb shows that the subject acts or does something (e.g., The Owner accepted the proposal.). A verb is passive when the subject of the verb is acted upon (e.g., The proposal was accepted by the Owner.). The active voice is generally preferred over the passive voice. A passive voice may be acceptable when the person or thing receiving the action is more important than the person or thing doing the acting. Avoid shifts between active and passive voice within a sentence. affect, effect: Affect is usually a verb meaning “to influence, to have an effect on” (e.g., The additive will affect the strength.). Avoid using affect as a noun. Effect is usually a noun, meaning “result” or “consequence” (e.g., The total effect of the additive is minimal.). Effect is sometimes used as a verb, meaning “to cause, to bring about, to produce” (e.g., The new guidelines will effect many changes in the group.). allow, enable, permit: Allow and permit imply power or authority to give or deny. Permit suggests formal sanction, approval, consent, or authorization. Allow suggests merely the absence of opposition or refraining from prohibiting actions (e.g., The manager allows employees to arrive later on Fridays.). Enable means to make possible, practical, or easy (e.g., The new trucks will enable the crews to haul more material.). ampersand (&): Use the ampersand when it is part of a company’s full name, but not to replace the word “and.” The ampersand may be used in charts and tables. approve/approval: On the MoDOT Design-Build program, this specifically refers to a formal conditional determination that the matter or item submitted for approval is satisfactory for the project or condition under consideration. assure: Assure means to state confidently to another person or group that something has been or will be done: The director assured the council that staff will act on the resolution. See also ensure, insure. as well as: Avoid this phrase. Use “and” or “also” if possible. For example, instead of Hennepin County, as well as the City of Minneapolis, must approve the proposal, simply say St Louis County and the City of Chesterfield must approve the proposal. Do not use “as well as” with the word both. begin, commence, start: Begin and start have subtle differences in meaning. Begin means merely a setting into motion of some action, process or course (e.g., They planned to begin the project in March.). Avoid using commence to mean the same thing as begin. Start is more precise, usually suggesting physical movement or leaving a point of departure in any kind of progression (e.g., They started construction.). biweekly: Usually means every other week, not twice a week. Semiweekly means twice a week. Bimonthly can be interpreted as either every other month or twice a month. To avoid confusion, use every two weeks or every other week instead of biweekly (and twice a week instead of semiweekly). bridge: Capitalize when part of a formal name. Do not abbreviate (e.g., Main Street Bridge construction is under way.). building: Capitalize the proper names of buildings, including the word building, if it is an integral part of the proper name (e.g., The Exchange Building is on Second Avenue.). Do not abbreviate unless used in charts and tables. CADD: An acronym for computer-aided design and drafting. Use instead of CAD. can, may: Can refers to the capability, ability, or power to do something, and may refers to authorization or permission and sometimes possibility (e.g., They can finish the project by March. May we have an extra month to finish the project?). Category A/B: In general, Category A requirements refer to items that may be changed only through value engineering or MoDOT-directed changes. Category B requirements refer to items that may be considered as equal or better. chapter: Capitalize when used with a number to name a section of a book or legal code (e.g., Chapter 5). Lowercase when standing alone. charts, figures, tables: Always include titles with charts, figures, graphs, and tables. Abbreviations not typically used in text are acceptable in charts and graphs because of limited space. When referring to a chart or table in the text, capitalize the word chart or table and use the numeral (e.g., As Table 2 shows, the value increases over time.). clean up, cleanup: Two words when used as a verb; one word when used as a noun or adjective (e.g., The cleanup lasted two weeks. It took two weeks to clean up the spill.). co-: Hyphenate when forming nouns, adjectives, or verbs that show occupation or status (e.g., co-pilot, co-signer, co-worker). Omit the hyphen in other combinations, including coordinate, coordination, cooperate, cooperation, and cooperative. Contractor: Use this when referring to the design-build contractor, as defined in the Contract Documents. Do not use design builder. cut and cover: Hyphenate when used as an adjective (e.g., The Contractor selected the cut-and-cover method instead of tunneling). dangling modifiers: Avoid modifiers that do not refer clearly and logically to some word in the sentence (e.g., Taking their equipment, the truck began its trip to St. Louis.). Modifiers should correspond with the applicable word (e.g., Taking their equipment, the workers began their bus trip to St. Louis.). data: Normally a plural noun, used with plural verbs and pronouns when referring to individual items (e.g., The data have been analyzed.). Data may take singular verbs when the group or quantity is regarded as a unit (e.g., The data is sound.). Use data to refer to evidence, measurements, records and statistics from which conclusions can be inferred, not as a simple synonym for facts, knowledge, reports, or information. Day: Unless otherwise specified, references to “Days” shall mean Calendar Days, as defined in the Acronyms and Definitions list. dead end , dead-end: Two words when used as a noun; hyphenate when used as an adjective or verb (e.g., The street is a dead end. Jones Avenue is a dead-end street. The street dead-ends at an empty lot.). design-build:	In general, use lower case and hyphenate. If part of a specific title, upper case both words and hyphenate. Always spell out; do not abbreviate as DB, D-B, or D/B. directions and regions: Lowercase when they show compass direction (e.g., north, south, northeast, etc. ; The fire hydrant is east of the gate valve.). Capitalize the words when they designate well-defined regions (e.g., Minneapolis is in the Midwest.). Lowercase directions when combined with a proper name unless used to designate a politically divided nation (e.g., western United States, eastern Canada, North Korea). Lowercase compass points when they describe a section of a state, county or city (e.g., eastern Missouri). But capitalize compass points when used to show widely known regions (e.g., Southern California). When in doubt, lowercase, or be more precise in naming the geographic area. e.g. The abbreviation “e.g.” is from the Latin meaning exempli gratia, or “for example.” This abbreviation should only be used in a parenthetical comment. Include a period after both “e” and “g” since it is an abbreviation of two Latin words and a comma following the second period (e.g., concrete). See also i.e. ensure: To make sure something happens. except/exception: Except means other than, or to leave out (e.g., The Contractor completed all items except the landscaping.). existing: Refers to something that already exists. See also in-place. figures and tables: When referring to tables and figure in text always spell out the whole word (e.g., Figure 2, not Fig. 2), beginning with an initial capital. however: Avoid starting a sentence with the words however or therefore. The word therefore means “for that reason” suggesting a preceding contention. These words are used to splice two thoughts together (e.g., Construction is not complete; therefore, the Contractor cannot leave the premises.). i.e. The abbreviation “i.e.” is from the Latin meaning id est, or “that is.” This abbreviation should only be used in a parenthetical comment. Include a period after both “i”and “e” since it is an abbreviation of two Latin words and a comma following the second period (i.e., tomorrow). See also e.g. in-place: Hyphenate when used as a compound modifier (e.g., in-place utilities). Spell out as two words when it stands alone (e.g., The pipe is already in place.). Do not use inplace as one word; it is not a word. lay, lie: The action word lay means “to place, put, or deposit.” It is followed by a direct object (e.g., They will lay the materials on the ground). Lie means “to be in a reclining position.” It does not take a direct object. It is often followed by down or a prepositional phrase: The material lies on the northwest corner of the project. MoDOT: No slash when referring to the Missouri Department of Transportation. Do not refer to MoDOT as the Department. neither: When used on its own without nor, make the verb singular (e.g., Neither of the crews was present.). on-site: Hyphenate when used as an adjective (e.g., on-site materials). parallel/perpendicular: Two or more parallel items are “parallel with” each other. Two or more perpendicular items are “perpendicular to” each other. partially, partly: Use partially to mean incompletely when speaking of a condition, state or preference (e.g., The structure is partially complete.). Use partly to mean in part as distinct from the whole—usually a physical object (e.g., The structure is built partly of steel and partly of concrete.). proprietary products: Avoid listing proprietary products in the RFP; instead specify performance criteria. right of way: Spell out on first use without hyphens. Abbreviate as R/W on subsequent use. road names: Capitalize street names (e.g., Taylor Street), abbreviate commonly understood terms (I-494) or those on the abbreviations list (CSAH 62). shall: Use this word to express a command, or what is mandatory. In Contract Documents, “shall” is generally preferred over “will” when describing requirements of the Contractor. software: Spell out as one word. Do not use the phrase “software program,” as this is redundant. Spell out any software product names as they appear on the products, and include vendor names on first use. For example, MicroStation by Bentley Systems Inc., GEOPAK by Bentley Systems Inc., and AutoCAD by Autodesk Inc.
stormwater: Spell out as one word. Station: Capitalize when referring to a roadway station (e.g., Station 10+00). utilize:	Avoid this word. The word “use” is usually preferable. very: This word is usually meaningless and can be omitted. which, that: Which is used to introduce parenthetical or explanatory phrases. For example, “I’m wearing my favorite suit, which happens to be black.” The explanatory phrase is not needed to complete the sentence—it is optional. That is used to introduce phrases or words that must remain part of the sentence. For example, “This is the project that will be built first.” The phrase is needed to complete the sentence—it is not optional. Refer to the following terms and guidelines when preparing documents. An adjective is a word or words that qualify, limit, or describe a noun or pronoun. An adverb is a word that modifies a verb, an adjective, or another adverb. Place an adverb as close as possible to the word or phrase it modifies. The apostrophe has four primary uses: 1) It shows possession (e.g., the company’s equipment); 2) it marks the omission of letters in contractions (e.g., won’t); 3) it’s used in abbreviations of years and decades (e.g., the ’90s), although not in plurals of decades (e.g., the 1990s); 4) it marks the plural of single numbers or letters (e.g., they dotted the I’s and crossed the t’s). Avoid using contractions in Contract Documents. Begin proper nouns, sentences, headings, and the important words in publication titles with capital letters. Proper nouns are specific names of people, places, and things. Avoid excessive capitalization for other purposes, such as highlighting words; this can make text more difficult to read. Do not capitalize the first letter of a word (or words in a phrase) simply to highlight it or to express its importance. Capitalize the main words in titles of books, magazines, newsletters, newspapers, and works of art. Also italicize the names of such works, or underline them if italic type is not available. Capitalize the main words and enclose in quotation marks the titles of dissertations, essays, lectures, short stories, speeches, radio and television programs, articles in periodicals, and chapters of books. If the title is part of a sentence, commas and periods go inside the closing quotation mark. Other punctuation, such as the question mark and the exclamation point, goes inside the quotation mark if it's part of the title; if it applies to the entire sentence, it goes outside the quotation mark. Capitalize — but don’t italicize, underline, or enclose in quotation marks — the names of brochures, bulletins, and reports, and catalogs of reference material, such as almanacs, directories, and similar publications. In titles, capitalize only the first word in a permanently hyphenated compound word found in a current dictionary (e.g., Methods for Part-time Operators). Capitalize both words in an “unlisted” compound word used as a modifier (e.g., High-Performance Concrete Standards). Within the RFP documents, capitalize the word “Section” when it refers to a specific section in the documents (e.g., Book 2, Section 12), including MoDOT reference manuals and manuals by others. NOTE: In MoDOT design-build Contract Documents, capitalize terms included in the Acronyms and Definitions list when they are used in the specific context of the definition. For example, capitalize “Approve” when referring to an Approval by MoDOT, but do not capitalize when referring to an approval by an agency other than MoDOT. - to introduce a list, often after expressions (e.g., the following: or as follows:). - to emphasize a word, words, or sentence that follows it (e.g., Here is the final direction: Install the pipe immediately.). - to introduce a quotation longer than one sentence within a paragraph and to end a paragraph that introduces a quotation in the next paragraph. Capitalize the first word after a colon if it is a proper noun or the start of a complete sentence. See “Lists” later in this section for further discussion of colons. Use commas to separate elements in a series of three or more terms, including the next-to-last item (e.g., Drawings shall include a north arrow, title block, and scale.). - to join two independent clauses with a coordinating conjunction (e.g., Widen the highway shoulder to 12 feet if no guardrail is present, or widen to 14 feet if guardrail is present.). - to set off words and phrases such as however, meanwhile, in fact, in addition, moreover, nevertheless, as a result, thus, therefore, for example, finally and in other words. - to separate a series of adjectives equal in rank. Use no comma when the last adjective before a noun outranks its predecessors because it is an integral element of a noun phrase (e.g., a reinforced concrete beam). - to separate the parts of numbers, dates, and addresses. Use a comma for figures higher than 999 (e.g., More than 1,000 people attended the event.). - to set off the year in complete dates (e.g., The report is dated November 16, 2004.). Do not separate the month from the year when not using a date (e.g., The report is dated November 2004.). Compound words are formed differently, depending on whether they are nouns, adjectives, or verbs. For nouns, generally spell out as two words (e.g., Contract Documents) unless a single word (e.g., roadbed) or a hyphenated term (e.g., start-up) exists. Use a hyphen for compound adjectives, also called compound modifiers (e.g., rush-hour service). No hyphen is necessary within a single proper noun (e.g., a St. Louis County project). Avoid using contractions (e.g., isn’t) in Contract Documents. Instead, spell out as two words (e.g., is not). Long dashes, called em dashes, can be used for emphasis or to set off a phrase (e.g., XYZ Company has several qualities—versatility, integrity, and experience—that make it a candidate for this project.). In general, minimize the use of long dashes in Contract Documents. Instead use other punctuation options, such as a colon, or break into separate sentences. Use short dashes, called en dashes, to express ranges of numbers: pages 145–63. NOTE: A hyphen (- on the keyboard) is not a dash. Most current word processing and design software can create em dashes and en dashes. If necessary, use two hyphens to create an em dash, and substitute a hyphen for an en dash. In Microsoft Word, if you type two hyphens and do not include a space before the hyphens, the hyphens become an em dash. If you type a space and one or two hyphens between text, the hyphen(s) automatically become an en dash. In general, spell out months and days (e.g., January 15, 2005). When not including a specific date, do not separate the month and year with a comma. Do not follow numerals used with dates by st, nd, rd, or th. Identify times with a number followed by a.m. or p.m. (e.g., 8:00 a.m.). Footnotes can be used to provide notes to tables or figures, or to cite references for text contained within a document. Use of footnotes should be limited in RFP documents. If used, they should be indicated by a superscripted number (i.e., 1) using the Footnotes feature in Microsoft Word. Use vertical lists to display a series of items. Use a colon to introduce a list when the introductory sentence includes the terms as follows or the following. Capitalize the first word of each item in the list. Use bullets to identify each item in the list when the sequence of the items is not important. Use numbers to identify each item when sequence is important. Use dashes to identify sub-items within bulleted or numbered lists. End items in a list with periods if one or more of the items is a complete sentence. The following examples illustrate various types of lists. 1. Identify and locate borrow areas. A noun is a word used to name a person, place, thing, quality, or action. A proper noun names a specific person, place, or thing and is capitalized (e.g., Taylor Street.). A common noun is not specific and is not capitalized (e.g., the street). For exceptions to this convention, see the Capitalization section. Unless referring to dimensions, spell out whole numbers less than ten and use numerals for all other numbers. Do not begin a sentence with a numeral. For dimensions, use numerals and spell out inches, feet, and yards to show depth, height, length, and width. Hyphenate when used as adjectives before a noun (e.g., the 5-by-8-foot box). Abbreviations may be used in tables, such as ft for feet or apostrophes to show feet and quotation marks to show inches. If you use the apostrophe or quotation marks for dimensions, use the symbols (e.g., 5'10") in Microsoft Word, rather than the keyboard version (e.g., 5’10”). When using decimal places, use consistent numbers of decimal places (e.g., 0.23, 0.20, 0.12, etc.). For amounts less than 1 percent, put the numeral zero before the decimal point (e.g., 0.07). Numbers with more than four digits should include commas (e.g., 4,223). For telephone numbers, place area codes in parentheses and include a hyphen between the principal groups of the number. (e.g., (612) 555-1212 ). See also Commas for discussion of commas within numbers, and see Percentages for a discussion of percentages. Spell out the word percent in text as one word (e.g., 55 percent). The percent sign (i.e., “%”) is permissible in tables. Use periods at the end of complete sentences according to common grammatical standards. Also use periods to follow numbers in a numbered list, but not when referring to those items within text. When used with quotation marks, place periods inside quotation marks. Include one space after a period. A preposition is a word or group of words that links a noun or pronoun to a verb, adjective, or another noun or pronoun. The most frequently used prepositions are at, by, for, from, in, of, on, to, and with. Others include according to, ahead of, because of, contrary to, in spite of, next to, and out of. Avoid overusing prepositions in a single sentence. To maintain clarity, rewrite and shorten long sentences containing multiple prepositions. - to separate parts of a series when at least one item in the series also contains a comma. - to link two (or more) closely related statements that could stand alone as independent sentences (or clauses). - to connect two independent clauses when the second clause begins with transition words such as therefore, however, consequently and for example. Examples: The attendees were John Smith, 123 Main Street; Mary Larson, 2334 Jones Street; and Jane Doe, 552 Taylor Street. Construction is scheduled to start next week; however, weather conditions may delay this. Capitalize the first and last words and all nouns, pronouns, adjectives, verbs, adverbs, and subordinate conjunctions (after, before, and because). Lowercase articles (a, an, and the), coordinate conjunctions (and, or, for), and prepositions. Italicize titles of published books, pamphlets, proceedings, periodicals, and newspapers (MoDOT Standard Specifications for Construction, USA Today). Capitalize, but do not italicize titles of forms or loosely collected documents (Utility Permit, MoDOT Special Provisions). A verb is a word that expresses existence, action, or occurrence. This page was last modified on 19 February 2016, at 15:23.